A book co-edited and part-written by a CSU legal expert has addressed the complex challenges faced by courts in Western democracies trying terrorism cases. A book co-edited and part-written by a Charles Sturt University (CSU) legal expert has addressed the complex challenges faced by courts in Western democracies trying terrorism cases. Professor Jane Goodman-Delahunty, a leading researcher with the CSU School of Psychology, said, "Terrorism has become an everyday reality in most contemporary societies. Bombs explode in popular venues, public buildings turn into fortresses and laws are tightened that threaten fundamental rights." 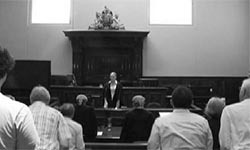 The Sydney-based academic believes that democratic practices such as the right to trial by jury are challenged in these cases by ethical, social and technological barriers. "These trials often include extensive pre-trial publicity, extreme and gruesome images, forensic experts who present circumstantial scientific evidence, and complex interactive virtual crime scenes," Professor Goodman-Delahunty said. "In our research, we questioned whether ordinary citizens who are called on to serve on juries in the Age of Terror can render fair and impartial verdicts, as required under our democratic system." In the book titled Juries, Science and Popular Culture in the Age of Terror: The Case of the Sydney Bomber, a research team has addressed this question using two live simulated trials attended by juries comprised of eligible Australian citizens. The results showed that verdicts in the simulated trials were influenced by the jurors' fear of terrorism, the so-called CSI Effect, and other individual biases. "The CSI Effect is problematic," Professor Goodman-Delahunty said. "It leads mock jurors to expect greater detail in forensic examination of crime scenes than investigating authorities such as police crime scene analysts can provide. "In addition, defence counsel are concerned that it has become more difficult to get a fair trial by jury in a case with terrorism charges because citizens serving on the jury, their families and friends are themselves the targets of terrorist acts. As a result, more defendants are pleading guilty rather than risk a jury trial." Positive findings in the studies included the effective use of traditional court procedures to manage jury bias. "In our second simulation, we showed that judicial directions and group deliberations within jury panels effectively reduced errors and produced greater consensus between jury members," Professor Goodman-Delahunty said. "The optimal psychological time for judicial directions to be presented may be immediately before the relevant expert evidence is given. 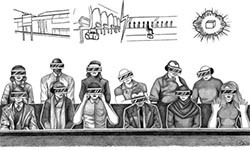 "Using excerpts from the jury deliberations, we also showed how juries were able to make sense of the complex issues in these cases, particularly when the experts used virtual simulations of the crime scenes." Professor Goodman-Delahunty believes that scientific and careful study of human behaviour have uncovered useful procedures to assist juries in Western democracies to deliver sound judgements, even when surrounded by sensational media reports and images in a context of heightened fear. "The results of this study confirmed that with careful preparation, juries can be trusted to remain impartial when confronted by defendants charged with terrorism," Professor Goodman-Delahunty said. 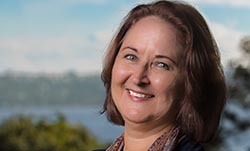 Jane Goodman-Delahunty is a Research Professor with the School of Psychology at Charles Sturt University in Manly, and is a member of the NSW Civil and Administrative Tribunal. The book's co-editor, David Tait, is Professor of Justice Research at Western Sydney University and Adjunct Professor at Telecom Paristech, France. Find out more on the research project here. The book is available for purchase in part or full here. Other recent books by Professor Goodman-Delahunty include Legal Psychology in Australia (2015), Juries and Expert Evidence in Criminal Trials (2016), and Trends in Legal Advocacy: Interviews with Leading Prosecutors and Defence Lawyers around the Globe (2017).